This post contains affiliate links. Please see my disclosure. I was not paid to offer the included giveaway. Have your kids entered the age where technology use has become one more thing to think about each day? 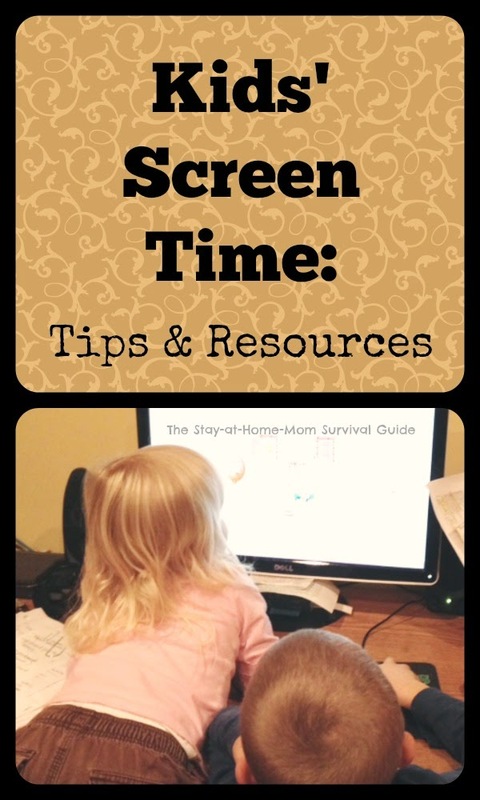 I recently read a statistic that said the average child in the US engages in 4-7 hours of screen time per day…per day! Think about how often we use technology for learning, then add entertainment, interaction as in phone calls and, bam, you have a lot of screen time! Kids screen time is a big parenting issue these days. I could not believe the stats of kids and cell phones that Krissy, of B-Inspired Mama, shared in a recent article she wrote on the subject. An interesting infographic regarding how much and how young children are using technology and getting their own cell phones amazed me! What age is appropriate for a child to have their own phone? How is this monitored and protected by mom and dad? My husband and I have started to talk about what age we think will be appropriate for our kids to have their own phones. It is a security and safety issue in some homes. How did we manage in our childhood with no cell phones? “Too often children are given screens to pacify and occupy them when it’s not an emergency or special occasion. Instead of learning how to live in the real world of communicating with people and occasionally feeling bored, they are given a screen world for their entertainment pleasure. More and more studies demonstrate the adverse effects of screen time on the brain and your child’s social and emotional development” (Growing Up Social, pg. 28). Is giving the kids the smart phone in a doctor’s appointment harmful? How about on a trip in the car? How can I protect the safety of my children in a world without boundaries such as the internet and social media? There is a new resource to help answer these questions and more! The book Growing Up Social: Raising Rational Kids in a Screen-Driven World, by Dr. Gary Chapman, (author of the book The 5 Love Languages), and Arlene Pellicane, discusses this very topic and provides strategies for parents to find balance in this tech world with kids and screen time. “Parents are needed more than ever to provide instruction, correction, and positive modeling to a child regarding screen time, even if this digital world seems like unfamiliar territory. We live in a brand-new era when children are digital natives and many parents are digital immigrants. In other words, many children know more technology than their parents, and that is quite different from how the world worked hundreds of years ago” (Growing Up Social, pg. 169). My children have entered the ages where questions about screen time have to be answered. It is not always easy to decide how much they can use the iPad, phone or TV. Often I find myself wanting to be a “yes mom. ” My kids want to play with the educational phone apps and it is learning, but saying yes all the time to technology use is not good for my children. Sometimes no is necessary. Karyn, of Teach Beside Me, reviewed the book Growing Up Social on her blog, and said some great things about it. While I have not reviewed the book, I have 1 free copy to give away! I encourage you to read Karyn’s review whether you are interested in entering the giveaway below or purchasing the book for yourself. The online medical information site Medline Plus, run by the National Library of Medicine at The National Institutes of Health, has a great article entitled “Screen time and children” that sums up the effects of screen time on our developing young children…and not so young children, if you have teens in the house. 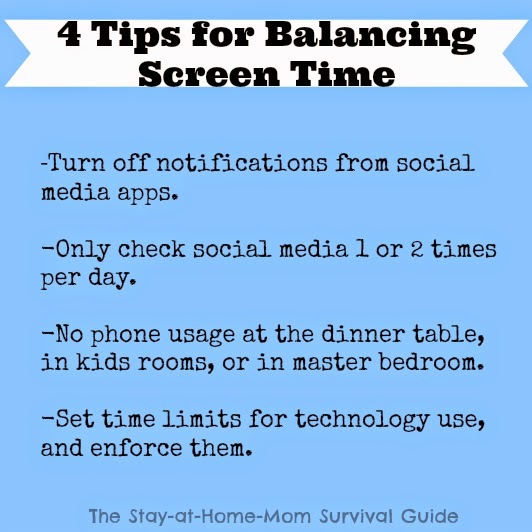 It is not a simple problem or simple parenting issue, but their are strategies for keeping screen time in balance. “When a screen-driven child faces an uncertain task, they often disengage and stop paying attention. They check out mentally when they hear something that doesn’t interest them. In the screen world, children are trained daily to get what they want, when they want it, and how they want it. That may hold their attention fast, but it doesn’t sound much like the real world we are preparing our children to live in” (pg. 98). We all have to teach our children about technology and screen time. How do you teach self-discipline in this area? -Turn off notifications from social media apps and only keep the phone ring and text message signal on so I am not tempted to check each new notice of something new that is not really urgent. -Only check social media 1 or 2 times per day (morning and evening), OR LESS. I tend to check it more when I have nursing infants in the house, but when I am busy with my kids, I use it less. -No phone usage at the dinner table, in our kids rooms, or in our master bedroom…aside from the alarm clock feature! -Let the kids use the devices with time limits…even if the apps they are using are educational. -Set time limits for technology use, and enforce them. Use a kitchen timer to keep everyone accountable and give kids a concrete ending to their screen time. There are many activities we can do face-to-face with our infants, toddlers, preschoolers and older kids; they do not need to be using technology every day. When my children are infants and toddlers we do not have them use technology much or at all since their brains are much less mature and their attention spans are still developing.We still have movie days here and there, and allow our kids time to use technology under our supervision, so we are not a “tech free” house by any means. Use your discretion as the parent. I mentioned in my post about Free Preschool Online, that we set the limit of 15 minutes for each of our children on a portable electronic device most days. Of course when we are traveling long distances on a road trip with kids, we relax on that rule a bit. Making a plan about technology use in the home is a great start for keeping a balance for all family members when it comes to screen time. 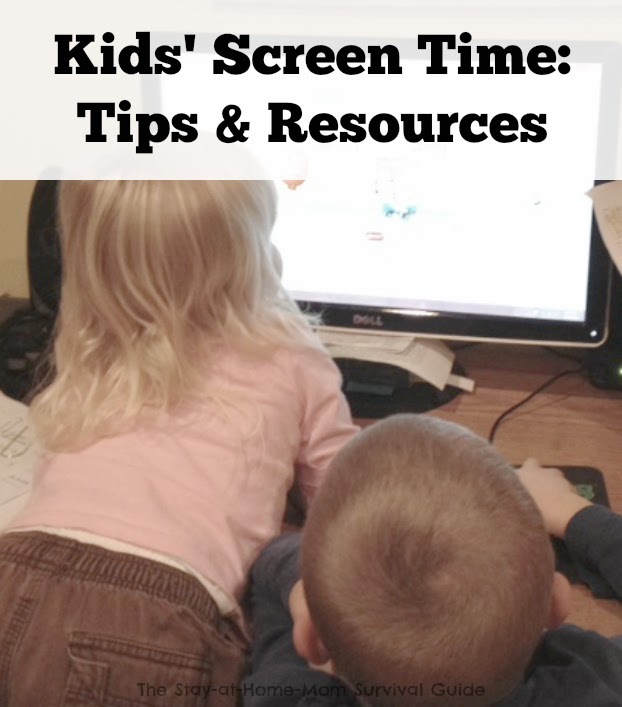 How do you monitor your kids’ screen time? Do you limit it? 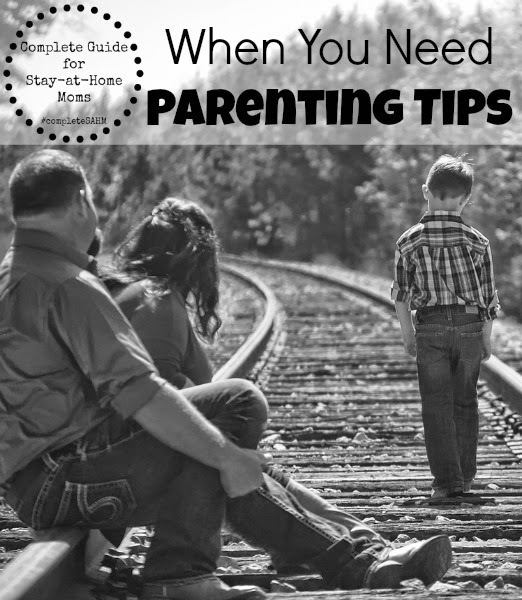 This article is featured in A Complete Guide for Stay-at-Home Moms: Parenting Tips. View all of the included resources HERE. Subscribe to the newsletter to receive weekly updates plus snippets of mom motivation via email. Join with me and other moms over on Instagram, Twitter, Facebook, Google+ or Pinterest. Looking to connect with other Stay-at-Home Moms for support and connection with others who “get it”? Join our private Facebook group. 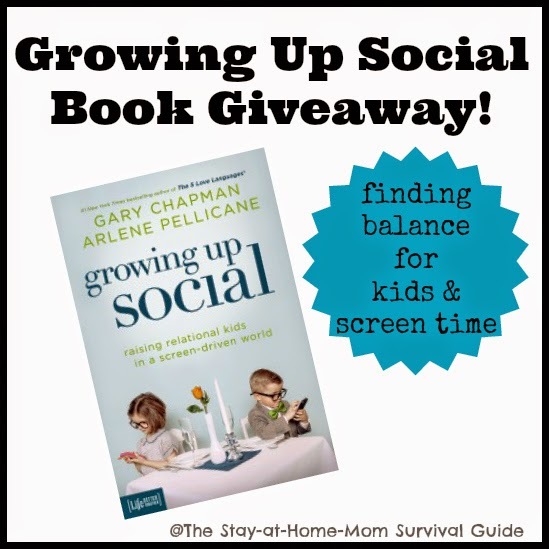 Thanks for the great ideas Jaimi and for hosting a giving away for our book Growing Up Social! You bet, Arlene! I look forward to the winner receiving it. What a great resource for parents. We're pretty anti-screen time with our kids. My five-year-old can watch 30 minutes of a movie per day. He doesn't get to use any smart phones or computers. And he didn't watch television until he was two, and we're doing the same with our toddlers and keeping them away from screen time until they're older. I am all about real-time communicating and don't want my kids to end up like those teenagers who stare into their iPads during parties! We set limits how much time they get per day. No more than 2 hours total except for rare, special occasions! Thanks for sharing that! We try to keep a limit most days too.